Soak in the extravagant ambiance of Kauai. 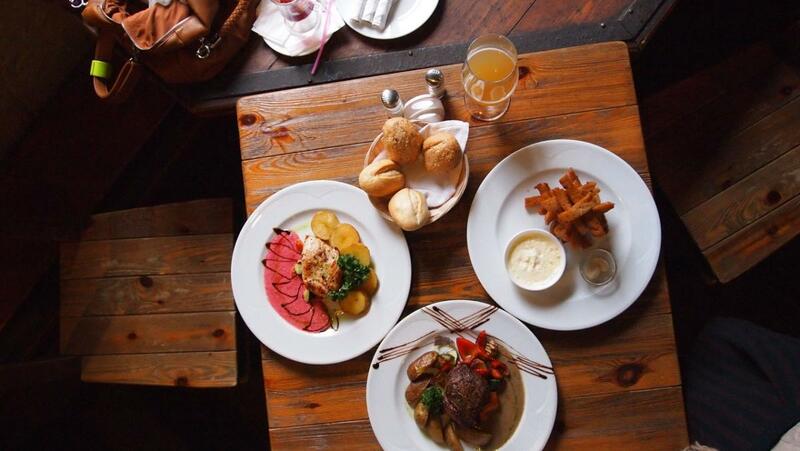 See the glorious sights and enjoy the local dishes. Below are the four absolute finest southside Kauai restaurants for fine dining. Those dining at the Red Salt don’t have to look very far to draw inspiration. The alluring dining room is lined by a big and bold view of the ocean. 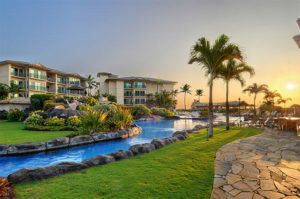 It sets the tone for a morning or evening of utter elegance in Kauai. This upscale restaurant hosts a world-renowned sushi bar. Stay indoors for an ambient and exclusive eating experience, or venture outside for some cocktails and Hawaiian classic dishes by the pool. The appetizers please, with Ahi Tartare, Charred Octopus, and a selection of shrimp and squash-based soups. Moving along the menu, you can see some dazzling options, including Pan Seared Snapper, Seared Ahi, and Kona’s own Lobster Gnocchi. The hours vary, but you can find the restaurant open from at least 7 a.m. to 9 p.m., with afternoon closures from 11 a.m. to around 5 p.m. for dinner preparations. Keoki’s Paradise offers clever uses of bamboo, pastoral water views, and delightful décor. It’s a paradise within a paradise, and a look at laid-back elegance in Kauai. The seafood menu is made up exclusively of local and fresh fish: fish tacos, a fish sandwich, or the fish of the day. Because of demand and seasonal availability, you can expect something original and fresh with each visit. Burgers include the Paradise Teri Burger, with jalapeno and pineapple marmalade, as well as the Cheddar Burger, and the Holua Sliders. 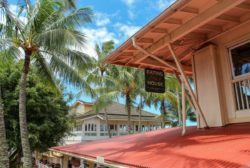 While Keoki’s Paradise has burgers, chips, and other casual dining options, the décor manages to delicately balance upscale beauty with charm. Expect live entertainment and special tasting menu days throughout the week. The idyllic Beach House Restaurant has jaw dropping views of the Poipu coastline. Its claim to fame is its dazzling views, but the menu is nothing to dismiss. It includes grinds, like the vegetarian bowl and Baja fish tacos, Keikis, like chicken tenders and pasta, Makai main entrees including crab-Crusted island catch and Seafood Linguine. Before or after dinner, you can trek on over to the surf-friendly Lawai Beach. While you may not want to actually get in the water (let alone surf), you can certainly take a friendly and cool stroll down its edge while looking for Hawaiian monk seals- a rare sight anywhere else. The Eating House is smaller in scale than many of the restaurants on this list. Its cozy demeanor and simple color palette sets the tone for a calm night out. The Eating House 1849 seems pulled out of time- an homage to the dense heritage of the island and the efforts of the time-stamped farmers and ranchers who used only what was immediately around them. The plantation history inspires all the dishes, including the Angry General chicken and honey chili butter burger, the Seared Ahi Club, and the Misoyaki Butterfish. The restaurant sources from at least 20 different local suppliers. The above fine dining restaurants on Kauai represent the pinnacle of Hawaiian eating. With a splash of fresh ingredients, local-only seafood, and some inventive twists on core formulas, these restaurants have captivated guests for years, and sometimes even decades. 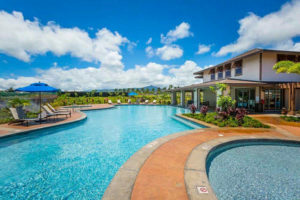 If you want more information on the top attractions and even more restaurants, come book one of our amazing Kauai condo rentals or luxury accommodations at Waipouli Beach Resort and Spa. 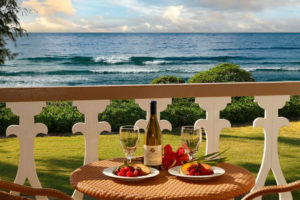 We can provide you with some sensational oceanfront rentals on Kauai. Absorb the beauty of the island right by the beach.